The main religions of a future version of Europe are troubled as another religion is recognized. While three children of God are each presenting an improved message of salvation, another set of beliefs is also being promoted. Vetacha is called in to locate the source of this non-divine inspired religion and determine its worth. 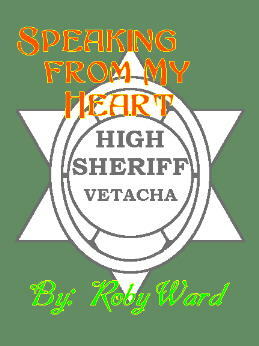 The worlds of Vetacha develops further as she goes in search of someone preaching a different message of salvation. From speculations that Satan might have been freed from Hell, to further facts of this possible future, this tale of Vetacha again stretches the possibilities and rules of divine life. This story actually established with me where I wanted to go with this set of books. After I finished this one, writing a number of others came easy. I however am stopping putting out any more until I can determine some things. Okay. Made a few sales, and actually feel a push (maybe divine? - or just my greed) to get these books out. Thus will work on releasing the next three. This book is now available in hardback. I do not update here until I have seen the book, and it looks very good even with its simple cover. A good start to the series.